When the owners of SME companies come to choose how they take their profits, the argument in favour of pension contributions has been gaining momentum over the last 2 years. While dividends may still be king, changes in how they are taxed are driving more directors who don’t need the income for day to day living to extract profits using employer pension contributions instead. The impending drop in the annual dividend allowance from £5,000 to just £2,000 from April 2018 means that higher rate taxpayers could face a further tax bill of £975, increasing the focus on the pension alternative. 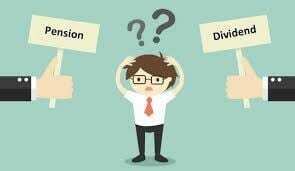 Despite the dividend option becoming more expensive, it still remains a better option than salary for most directors withdrawing profits significantly above the annual dividend allowance. For a higher rate taxpayer, the combined effect of corporation tax at 19% and dividend tax of 32.5% will still yield a better outcome than paying it out as salary, which needs to account for income tax at 40% plus employer NI of 13.8% and employee NI of 2%. However, a pension contribution remains the most tax efficient way of extracting profits from a business. An employer pension contribution means there’s no employer or employee NI liability – just like dividends. But it’s usually an allowable deduction for corporation tax – like salary. * Assumes full £5,000 annual dividend allowance has already been used. Clearly, the dividend route provides more spendable income than the bonus alternative, but if the director does not need this income, the value in their pension pot is almost doubled. When they take money from their pension to support their income needs, the figures still compare favourably. Assuming the £40,000 fund is taken when the director is a basic rate taxpayer, net spendable income will be £34,000*. If taken as a higher rate taxpayer, net spendable income will be £28,000*. That is 55% and 28% more than the dividend option. From a family protection point of view, if not withdrawn for income purposes, the full £40,000 could be paid to the director’s loved one’s tax free should death occur before 75, or otherwise at the beneficiaries own marginal rate of income tax. * Assumes pension income is taxed after taking 25% tax free cash, and there is no Lifetime Allowance charge. Growth has been ignored.